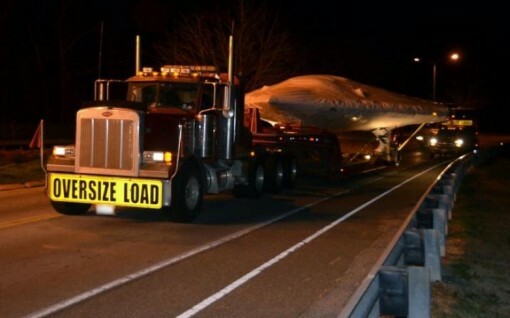 Northrop Grumman’s unmanned carrier aircraft drew some attention in Kansas, where people thought it was a UFO hitching a ride on a flatbed truck. If you watch until the end, you’ll hear the anchor say that the aircraft is headed to Maryland. This morning on its Facebook page Naval Air Systems Command announced that an X-47B arrived at Naval Air Station Patuxent River, Md., signed, sealed and delivered. It took a month to drive from Edwards Air Force Base, Calif. where the aircraft spent the last year completing tests. The first flight at Pax River is scheduled for this spring. They’ve landed! Next they will be running for president!